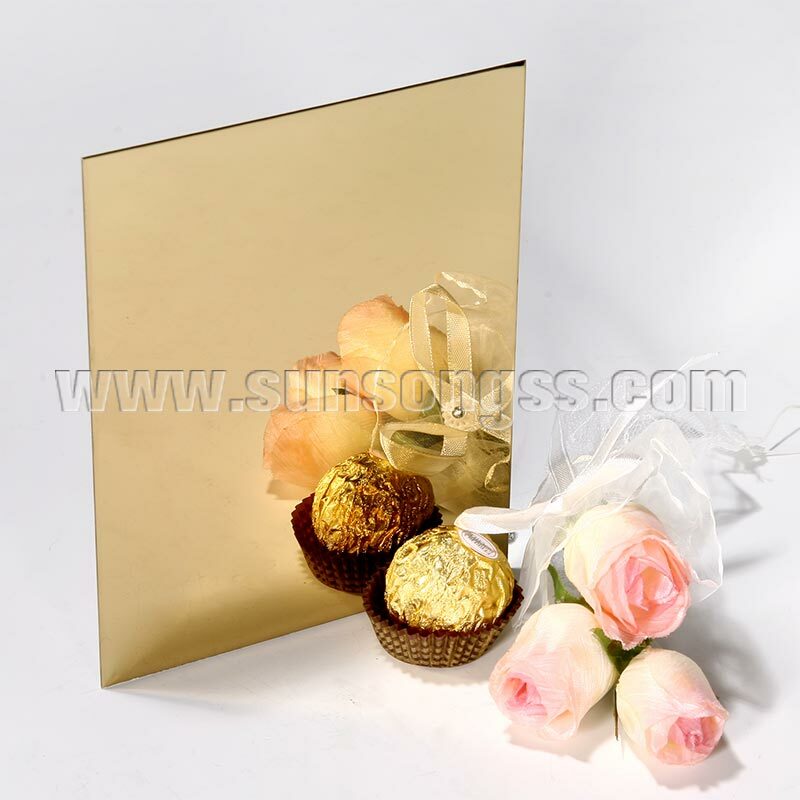 The PVD Bronze Coated Super Mirror stainless steel sheet is polished from stainless steel cold rolled sheet. The sheet would get a certain degree of gloss and bright surface through the process of our mirror polishing production line and manual grinding equipment finishing. And the surface of the plate is without any scratches, bending marks and deformation,etc. Generally, the grade of 304 and 201 are better to be polished, the material of 430,and 316L are also acceptable but they are not so nice as the above two grades. Our supper mirror sheets are mostly from 0.7mm to 3.0mm in thickness, and standard sizes are 1219x2438mm, 1219x3048mm, and if customer request, we could supply the max width to 1500mm and length to 4000mm. Can be done as Silver, Gold, Black, Gold Rose, Bronze, Brown, Nickle Silver and so on, or customer’s color. Due to its beautiful appearance, the mirror sheet is suitable for decoration of exterior walls, interiors, elevators, etc. During the production of mirror sheets, it is very important to choose the suitable raw material, and we generally use TISCO, BAOSTEEL, POSCO material instead of HongWang, Beihai Chengde, Yongjin Mill. 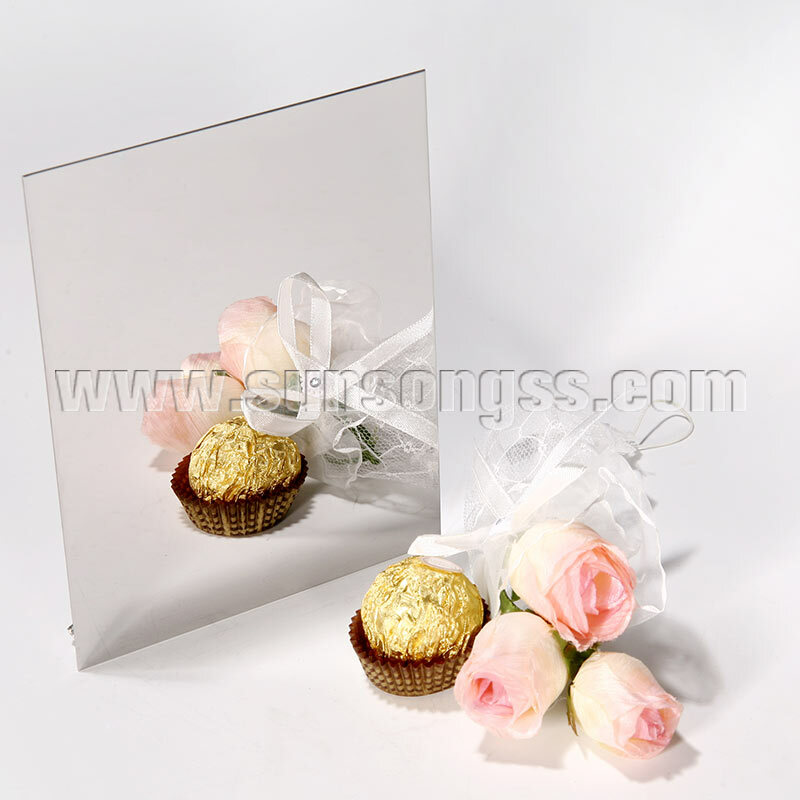 The TISCO material is with high density and low hardness whose mirror surface is nice, smooth, bright after polishing. We also have done much special work in our producing processes: Firstly, we installed the Fine grinding stone into our mirror polish production line, and it could remove the oxygen layer quite well, after this process, the mirror surface could remove water ripples and some other quality problems. Some other factories may have not this process. Secondly, we have process inspection, said to remove the sheets with scratches, kink marks before PVC coating. Thirdly, after the polishing, we have the process of washing and drying and then we do the PVC coating. (Our PVC standard is one layer of NOVACEL PVC inside with thickness of 0.07mm, and one layer of normal PVC with thickness of 0.06mm.) The PVC type could be specially produced per customers’ request. Finally, our package is fumigation wooden case which is table and suitable for sea transportation. 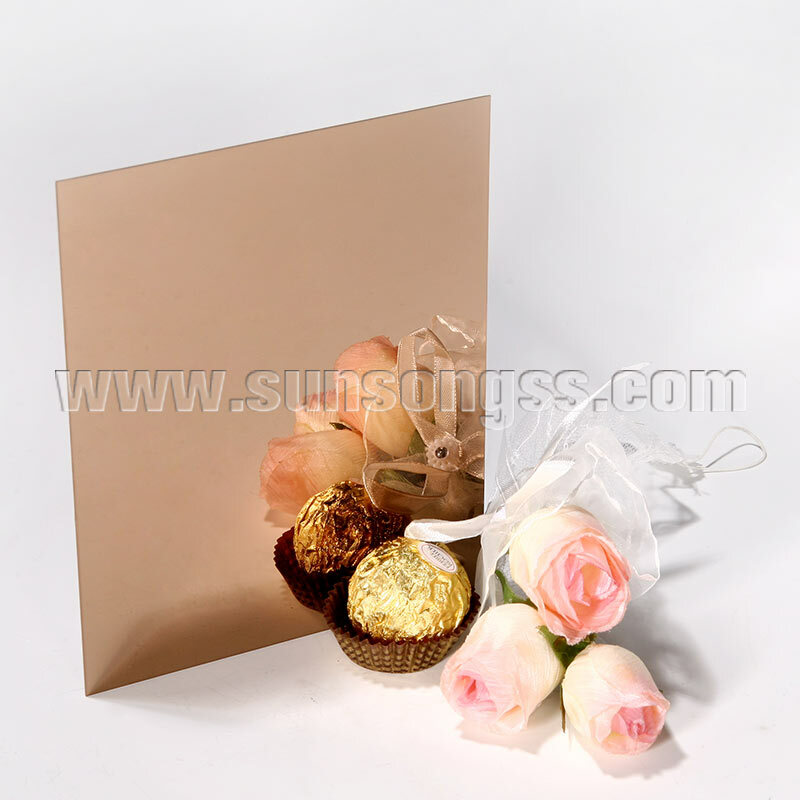 The Package could be specially produced per customers’ request. What’s more, we would like supply the material in middle and high-end quality to our esteemed customers. 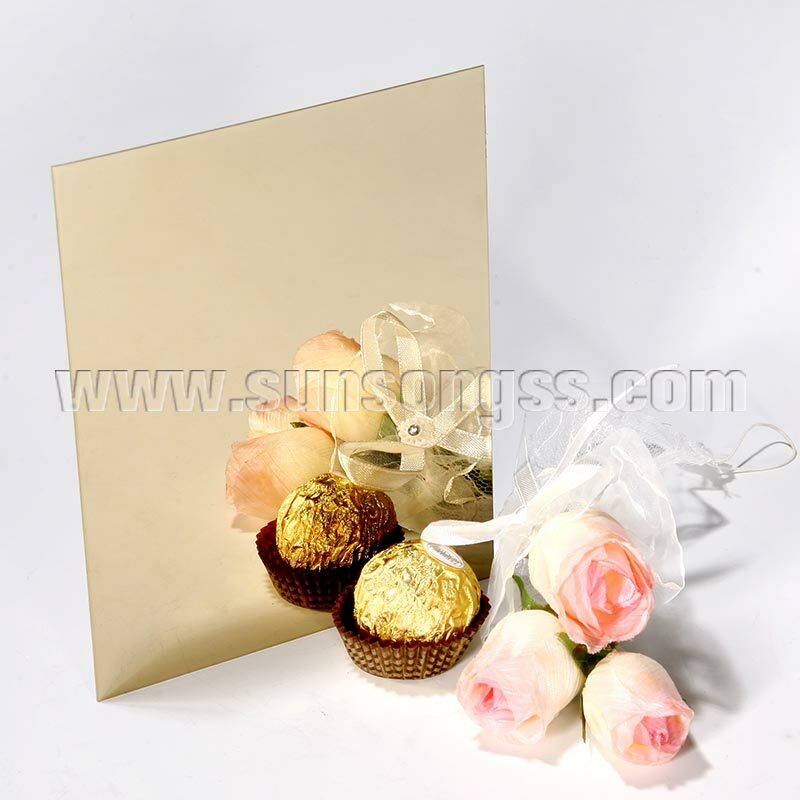 Surface Color Can be done as Silver, Gold, Black, Gold Rose, Bronze, Brown, Nickle Silver and so on, or customer’s color.